This thread is for comments about our Brawler's Guild - Vian the Volatile guide. Make sure to post if you have some class advice to share! In any case, thanks a lot for this comment! Do you have any suggestions for the talents? If not specifically for Vian, but for the Brawler's Guild fights in general. Turn on growl, let the pet tank. If you do by chance take aggro and get fire line in your direction there are few easy options: deterrence and strafe, turn to the side and disengage, or feign before he starts his cast to return aggro to your pet. Though, the fight went really quickly so I am only speculating on strategies. I just kited and spanked the guy using disengage once. Stood toe to toe and interupted any cast I could. With fireline just move out of the way. If health gets low move away and pop a potion or bandage to get it up enough to continue. Try to position the boss so he does not get hit by the orbs he has bouncing around the room and they miss you as well. This macro starts your Inquisition (provided you built up 3 HP), pops your major CDs, uses the Brawlers guild potion of choice, uses your glove enhancement if you are an engineer and uses any on use trinket in the bottom trinket slot. As is the case with most fights in the brawlers guild you will be attacking the boss from the front a majority of the time which means being hit capped and expertise capped (up to the hard cap) is the best way to improve DPS. Thank you guys for all these comments. I have updated the guide to feature them. Ideally you are wanting the Second Wind talent, along with Avatar, as it has the highest overall damage boost. (There are some fights where Bloodbath is better - But it will be stated further into this post on the "Fight-Specific Tactics" part). You should also be making sure to, of course, have Mass Spell Reflection (As the other two Tier 5 talents can't affect you), and at least two Potion of Brawler's Might per fight. 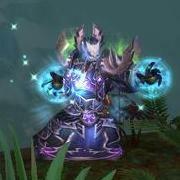 Pre-potting with Potion of Brawler's Might is the best idea (Hence owning two per fight) and then using the next one as soon as it's ready, alongside all of your DPS cooldowns. Most other benefits are negligible until higher up fights or your gear is lower than average (I'm working with full 463 or better gear - As that's what I had until reaching Rank 7). This fight is only marginally more difficult than than Bruce, it's again about movement and observation, however. The main threats in this fight are his Fire Line ability, and the Flame Orbs you will see bouncing around the room (Their numbers will increase throughout the fight). All you have to do whenever you see Vian casting the Fire Line ability, is move around him a little to a point where the Fire Line isn't, and if you can't kill him fast enough, perhaps to a new location to ensure you're nowhere near them when he summons more. As for the Flame Orbs, you need to avoid both you and the boss being hit by them, as they increase his casting speed and spell damage by 5% per orb that hits anyone. - The best way to avoid them is to fight the boss where he appears, as no orbs start heading towards that point for a while during the fight, however if your damage output isn't high enough, as with Fire Line, you may have to relocate. If health becomes an issue, Die by the Sword can reduce your incoming damage by 20%, giving your Second Wind a chance to catch up. I'm adding your comments to the guide, thank you guys! I'm a Discipline Priest and I just did this boss today... I realized no Priest shared experience, so I decided to do it! I hope it helps! It is actually pretty simple to kill this boss as Discipline, and it's not that different from Bruce. I recommend using Glyph of Penance so you'll be able to move around while casting Penance. Also, Glyph of Inner Sanctum, if you're not already using it. Your rotation should be basically: Penance, Holy Fire and keep using Smite until Penance is out of CD. Start it all over again. When you start a new rotation, your Holy Fire might still be at CD. I recommend using a Power Word: Shield right after Penance. It will not only make your next cast be faster, but will also help you with a little extra protection. You can also cast Shadow Word: Pain or Shadow Word: Death for some extra damage. Atonement and Divine Aegis should be more than enough to keep your HP up. I recommend leaving the Evangelism stacks alone for an extra damage, but if you think you need some more healing you can use Archangel and rebuild the stacks (which should be easy and quick). Now, for the actual fight all you have to do is keep your rotation. I really don't think it matters if you are close or far from him, all you have to do is strafe to the side whenever he casts Fire Line. The best thing you can do is try to time it correctly and leave Penance to cast at times like this, since you can use it while moving. If you can't really time it, then just use this opportunity to move away from any Lava Burst or Volatile Flames that comes near you. Spam Penance, Holy Fire and keep using Smite until Penance is up again. Atonement and Divine Aegis should be enough to keep your HP up. Don't get near Lava Burst. Just dodge any Fire Line and Volatile Flames you can and you'll be fine.